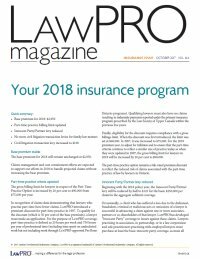 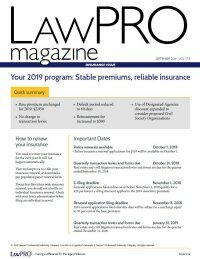 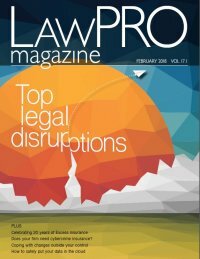 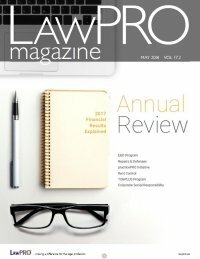 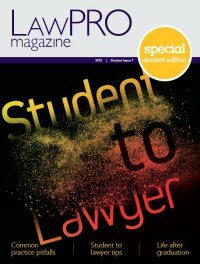 Search on all content across all issues of LAWPRO Magazine. 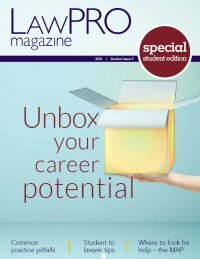 Use the filtering tools ( ) to narrow your search. 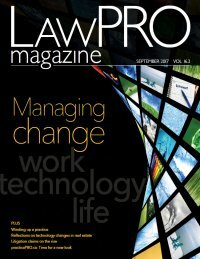 The legal profession is in the midst of significant change, and is headed into a period where there will be even greater change.